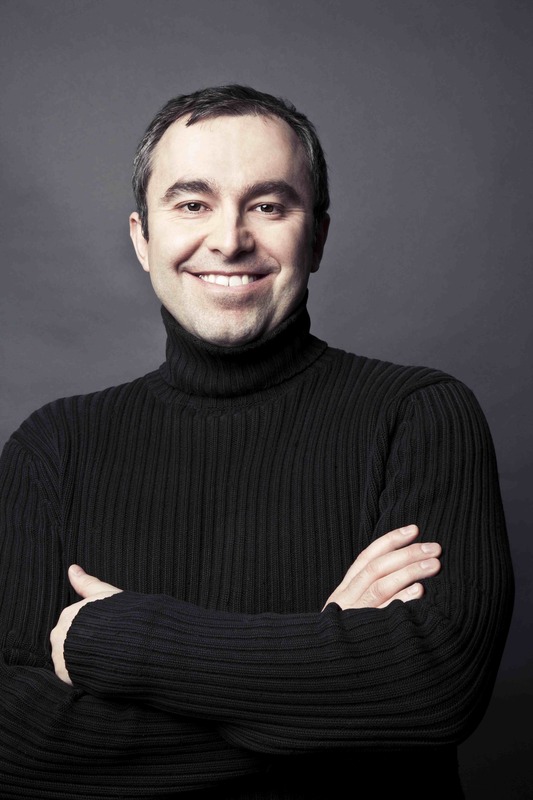 Alexandre Sévigny, PhD, APR, is a tenured associate professor of communication studies and communication management at McMaster University in Hamilton, Ontario. He is currently the Director of the Master of Communications Management Program, offered in partnership between McMaster University and the S.I. Newhouse School of Public Communications at Syracuse University. He also holds secondary appointments in several other units at McMaster: the Department of Psychology, Neuroscience and Behaviour, the Department of French and the McMaster Health Forum in the Faculty of Health Sciences. He has been quite involved in the Macedonian community. In Spring of 2013, He organized an official visit of Dr. Gjorge Ivanov, President of the Republic of Macedonia and First Lady Maja Ivanova, to McMaster University in collaboration with the former Macedonian Ambassador to Canada, His Excellency Ljuben Tevdovski. In August of 2013, Alexandre lectured in President Ivanov’s Summer School for Young Leaders on the topic of social media strategy and management in Ohrid, Macedonia. He provides mentorship to young Macedonian students at McMaster University and elsewhere as they forge careers in communications. He has also participated in the North American-Macedonian scholars conference and published scholarly articles on the Macedonian language. Alexandre’s research focuses on the study of communication theory and human communication applied to the practice of public relations and communications management and reputation management. He founded and is currently co-director of the COMM-Lab: McMaster Communication Metrics Laboratory. Alexandre is the founding editor-in-chief of the Journal of Professional Communication (JPC) – an international scholarly and professional journal for practitioners, journalists, policy makers and academics. He also co-founded the McMaster Journal of Communication, a peer-reviewed, graduate student journal of which he has been faculty editor for the past ten years. In 1998, Alexandre won a fellowship during his PhD at the University of Toronto to spend a year as a pensionnaire étranger at the École Normale Supérieure (Paris, rue d’Ulm), which he completed. In 2000, Alexandre was awarded a Chateaubriand Fellowship from the Government of France to work in cognitive science and content analysis at the École Normale Supérieure, but accepted, instead, a Social Sciences and Humanities Research Council of Canada postdoctoral fellowship to work on a comprehensive reference dictionary of the Mi’kmaq language and culture in the Gaspé Peninsula (Québec) and in the Maritime Provinces of Canada, which was published in 2006. Alexandre has won the McMaster Students Union New Faculty Merit Award for teaching excellence and the Petro Canada Young Innovator Award for integrating teaching and research. The Hamilton Spectator listed him on their Top 40 Under 40 in 2008. The United Macedonian Diaspora named him to their Top 40 Under 40 in 2014. As chair of the communications committee, he shared with the committee membership the Ontario Liberal Party Riding Advertising Award for the successful reelection campaign of the Honourable Ted McMeekin, Ontario Minister for Community and Social Services. Alexandre has also served as a political consultant. He was director of communications for Judy Marsales during her successful campaign in the 2003 Ontario provincial election. He was communications chair for Hon. Gerard Kennedy’s successful campaign in the 2008 Canadian federal election and communications chair for Hon. Ted McMeekin’s successful Ontario provincial campaigns in 2011 and 2014. He was recently communications chair for Filomena Tassi’s successful federal campaign in 2015 and currently serves as a senior advisor to MP Filomena Tassi. Alexandre runs an active and successful communications management and marketing consulting practice driven by empirical research, data science and business analytics. His client list includes: municipal and federal governments, private corporations, political parties and not-for-profit organizations. He has also worked as a consultant to public individuals who desire to increase their profile and improve or change their reputations. This blog, my research, and my consulting practice, are emphatically non-partisan. I strive to be an equal-opportunity critic, analyst, commentator and strategist. I am a progressive, practicing Roman Catholic. The intersections of faith, politics and public life interest me deeply. I am committed to social justice and have been profoundly influenced by the thought and life of Jean Vanier. I believe that Dr. Vanier has successfully blended academic achievement, political activism, and a questioning, but loving faith. In terms of personal interests, I love fencing (sabre), swimming lengths, playing the piano, cooking, writing fiction and non-fiction, maintaining my vegetable and herb garden, as well as watching Formula 1 racing (I love cars), reading magazines and binge watching my favourite tv shows. I have been focused on swimming and running these days and now I am focusing on cycling. My goal is to complete a triathlon in 2017. I live in Ancaster, Ontario, Canada, with my cat Gigi. My name is Ryan Martin and I’m a third year student at McMaster University. I’ve admired your work in politics and helping Canada move forward as a country, putting in place the regulations that helped keep our financial services industry afloat during the past few years of economic uncertainty. For my final year beginning next fall I’m looking to take on an exchange opportunity called the Semester in Washington DC Program to gain a unique governmental experience abroad and have the opportunity to take classes at Georgetown University. This is something that would help me continue my path of building a diverse background after having worked abroad this past summer, and as a result the cost is quite high and I was wondering if you might be willing to offer me any kind of financial support might be available to help me pay for the expenses that would be incurred. During the 2006 and 2008 I had the pleasure of working with Burlington Liberal MP Paddy Torsney, with whom I have been on in contact ever since. SHe suggested I speak with you about any opportunities you may have for obtaining fund-raising money to help me with the expenses of an abroad program. I understand they would be at my own decision as a result of going, but I was hoping I might be able to get some backing as the only student to ever participate in this program from McMaster and give them some strong representation on the international stage. Any information you require I would be happy to provide. Please let me know what I can do to move forward if any opportunities might be available.